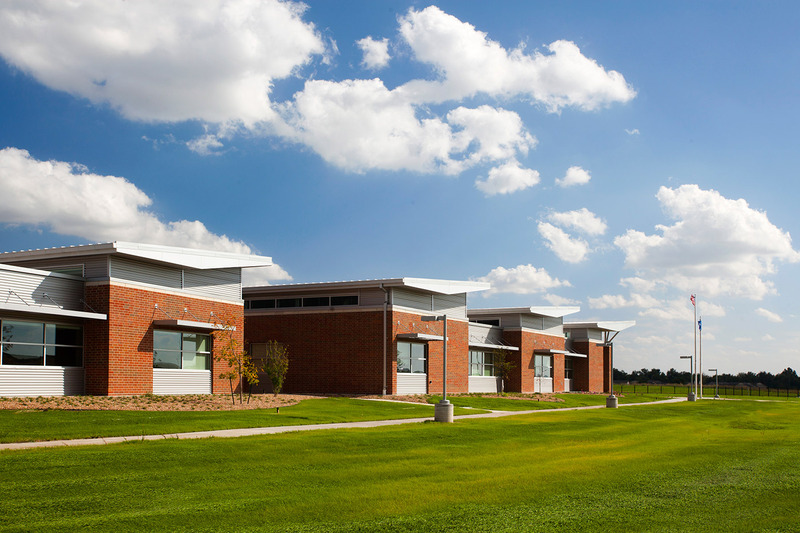 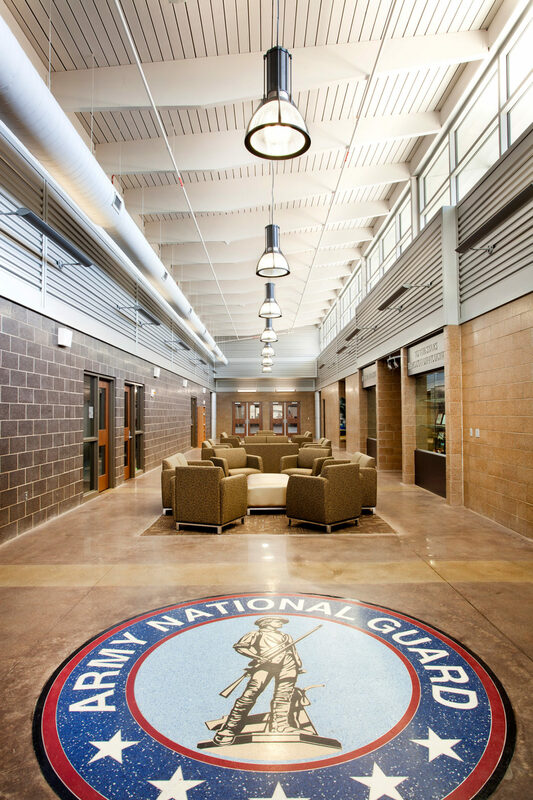 HTK was commissioned for Architectural services to provide physical fitness equipment and complete furnishings to the Kansas Army National Guard/Adjutant General’s Department in Wichita, Kansas. 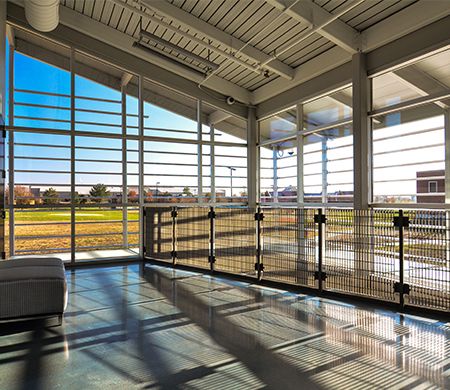 The facility was required to be LEED Certified Silver but may certify at Gold. 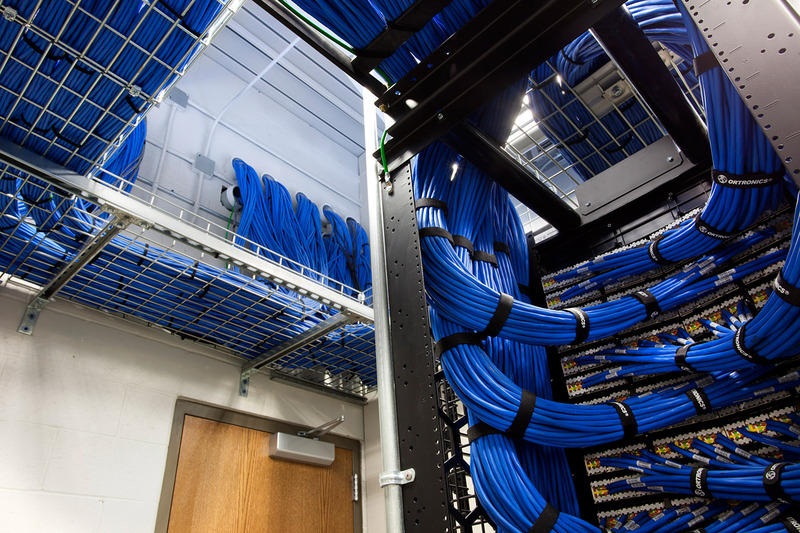 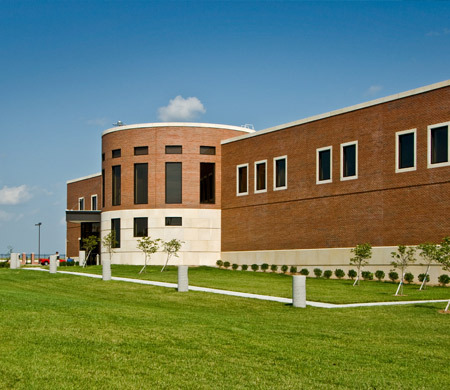 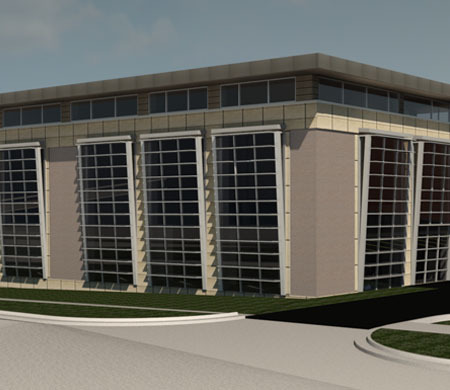 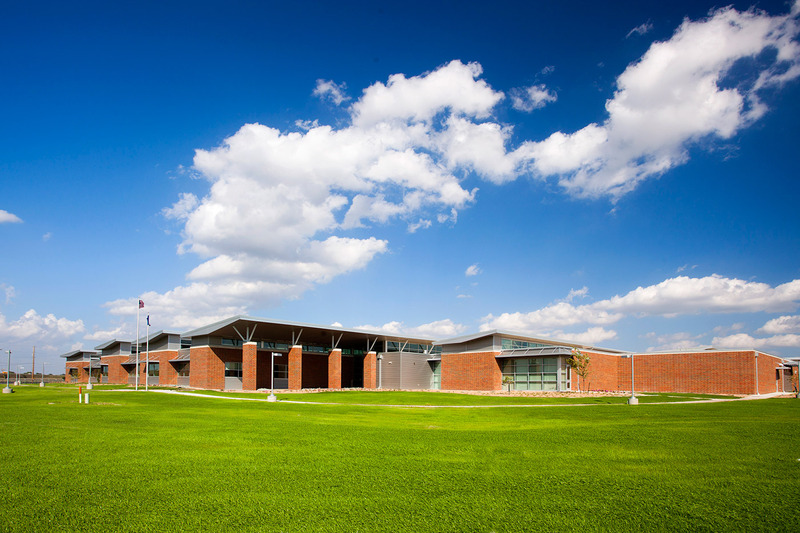 The Wichita Readiness Center consists of 121,921 SF of secure and non-secure, open and private offices, classrooms, assembly halls and training simulator spaces. 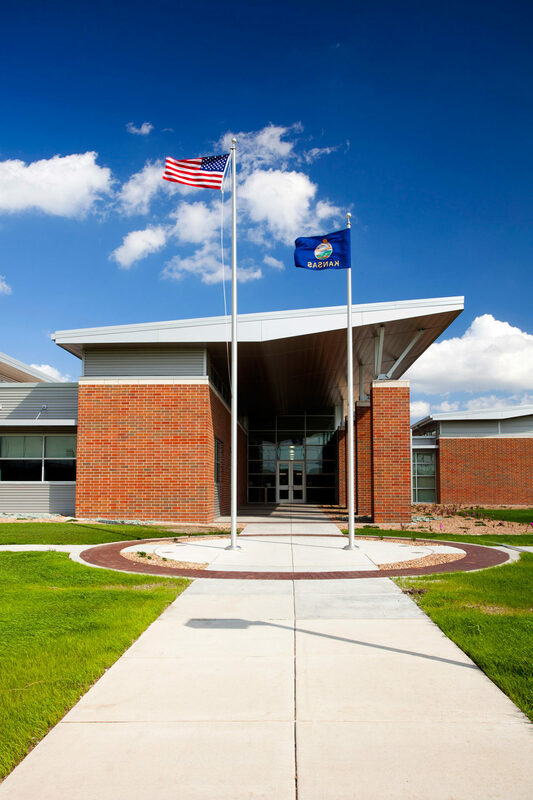 Due to the large footprint of the facility, custom signs are designed and installed to make way-finding in the facility easier to navigate. 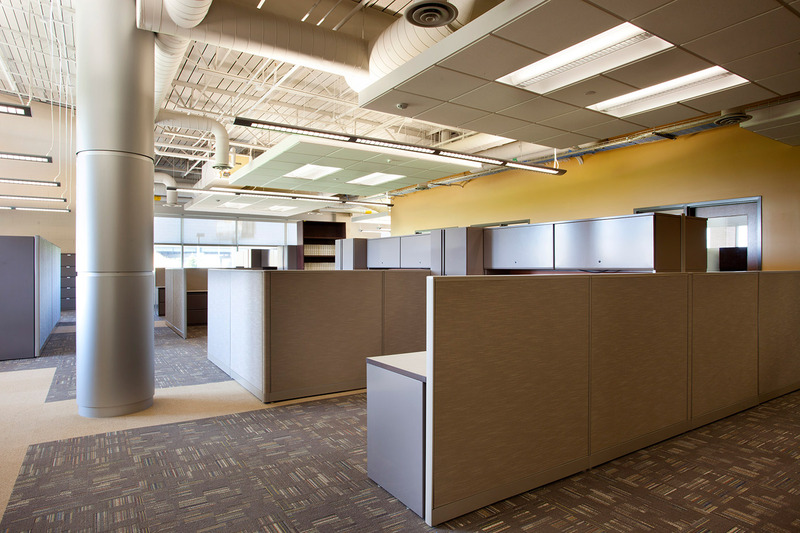 A combination of stained concrete and carpet is used to define each wing by color and location. 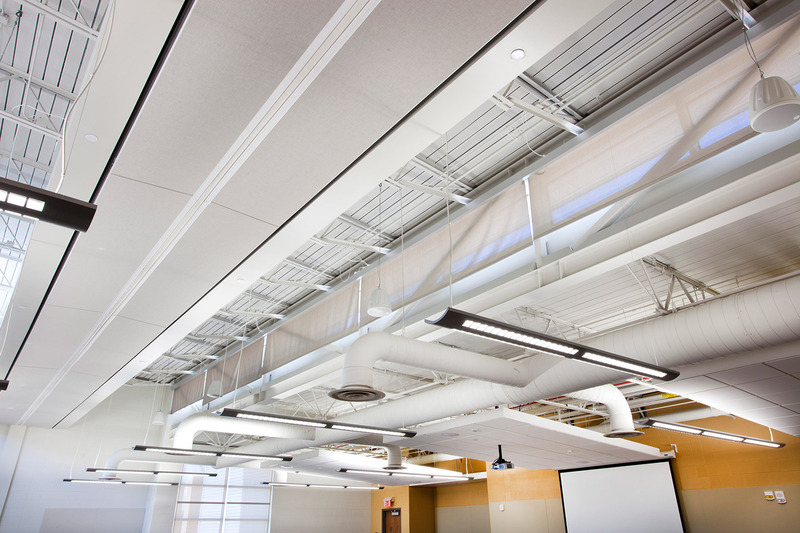 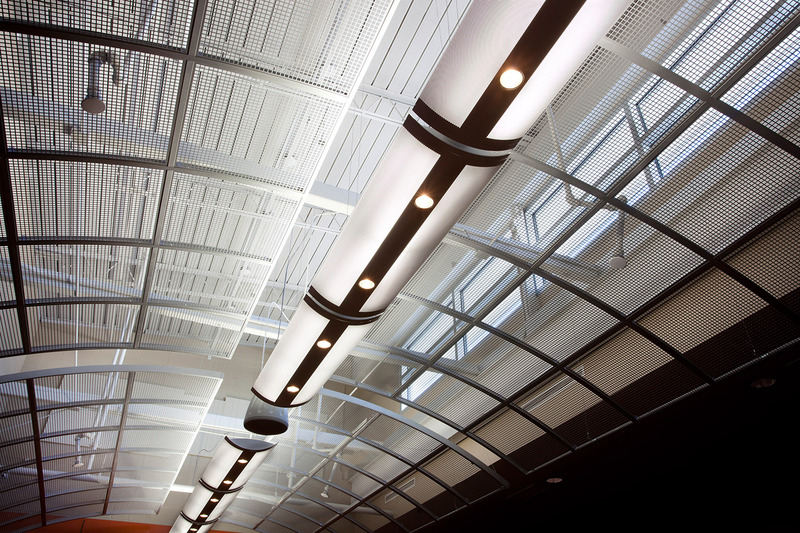 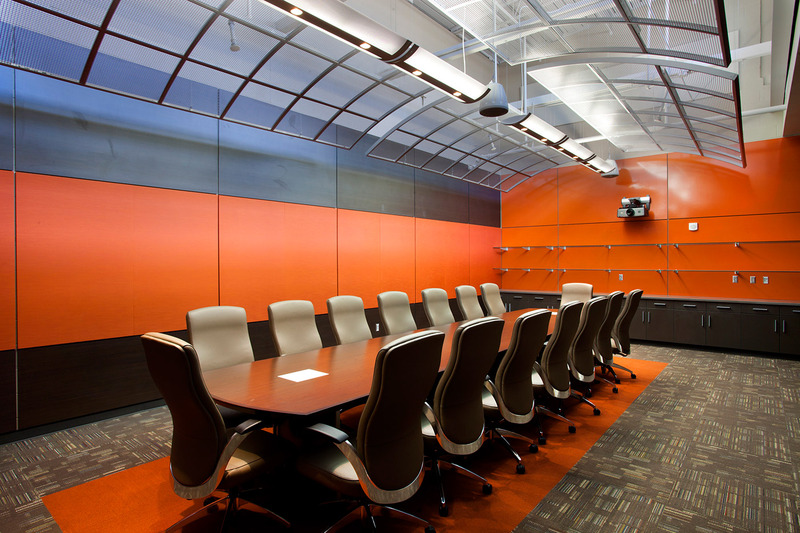 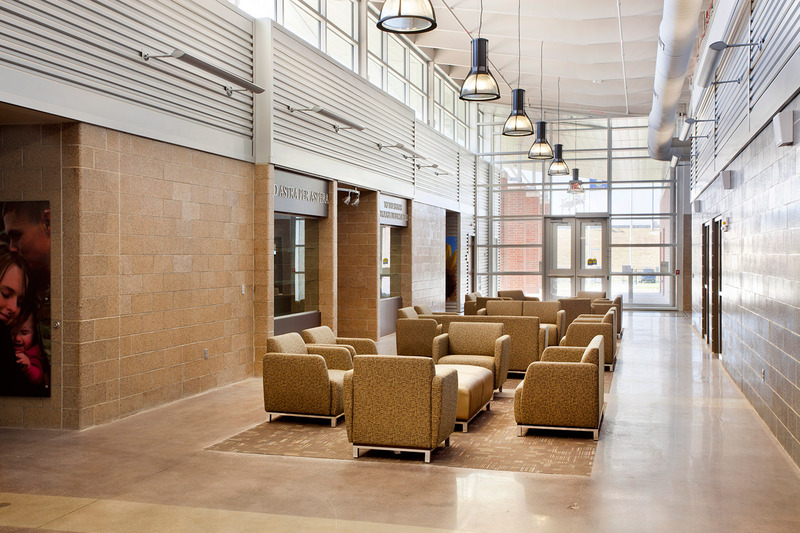 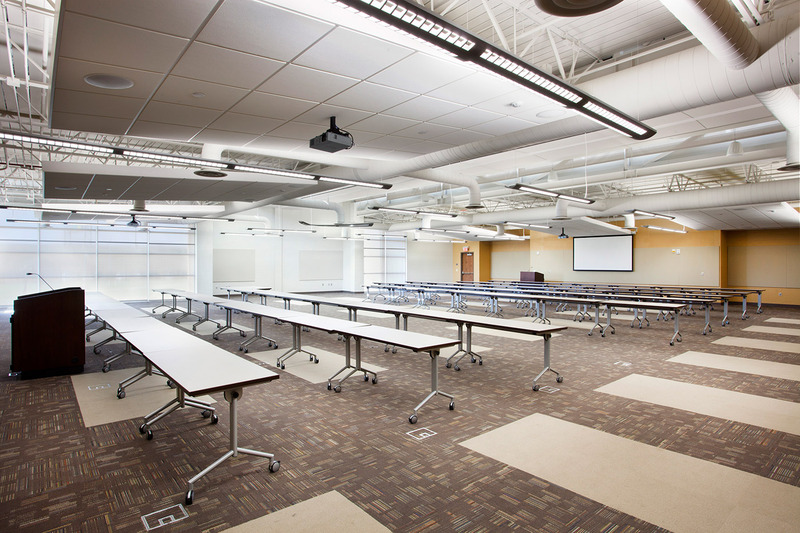 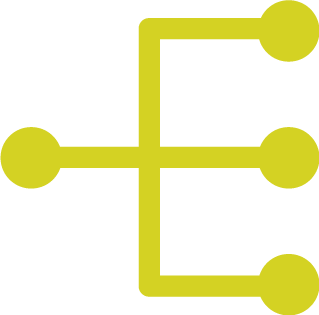 The common spaces, which are also used by the City of Wichita, are outfitted with flexible furnishings and contemporary systems furniture to reflect the new building’s atmosphere.